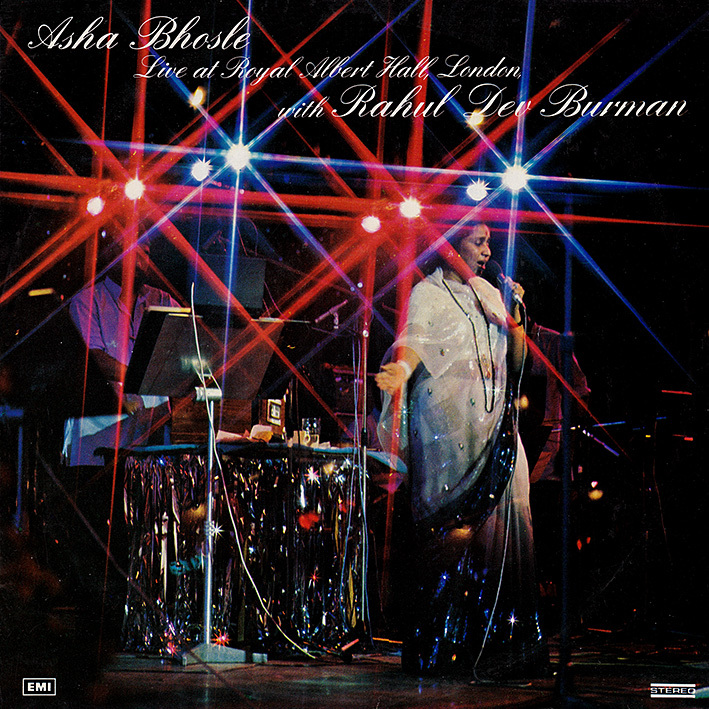 'Live At The Royal Albert Hall' is a fabulous document of Asha Bhosle's first ever performances in London, on June 19th and 20th 1978. Backed by Rahul Dev Burman and accompanied by friends and family, it's a veritable greatest hits package of classic tunes from classic films. RD's own compositions are prominent (songs from 'Yaadon Ki Baaraat', 'Caravan', 'Sholay' 'Teesri Manzil', 'Hare Rama Hare Krishna' and more) but the set also features songs by among others S.D. Burman, Ravi, O.P. Nayyar and Shankar Jaikishan. The audience sounds ecstatic, and why wouldn't they be? thanks! and happy new yea to you too! Great share....was looking for this LP for quite some time ! Fabulous share!Thanks so much. This double LP contain so many precious live avatar of great OSTs. Pancham da was so lively on the stage. Great Share! Thanks a lot Frien!! !